Last weekend I returned to Latvia’s Capital, one of my favourite places in Europe. 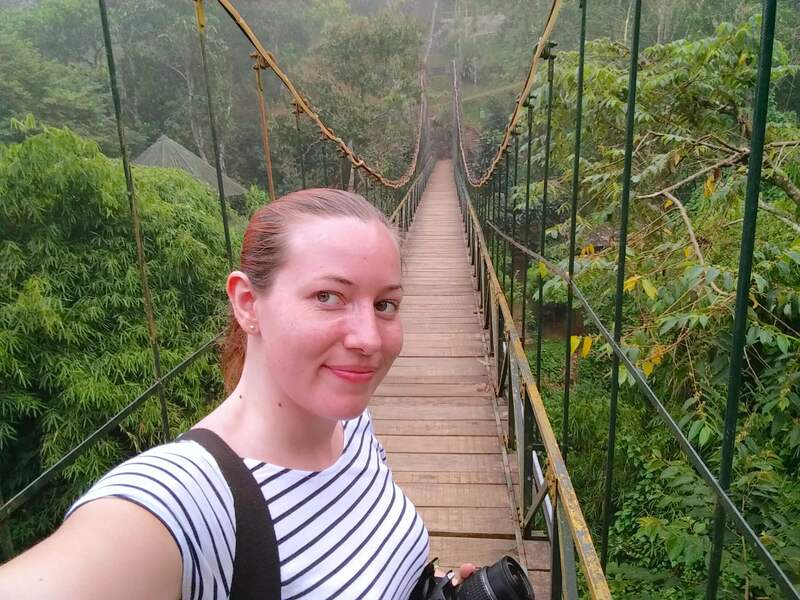 After a busy few weeks I was looking to relax a little and found the perfect place to do that. 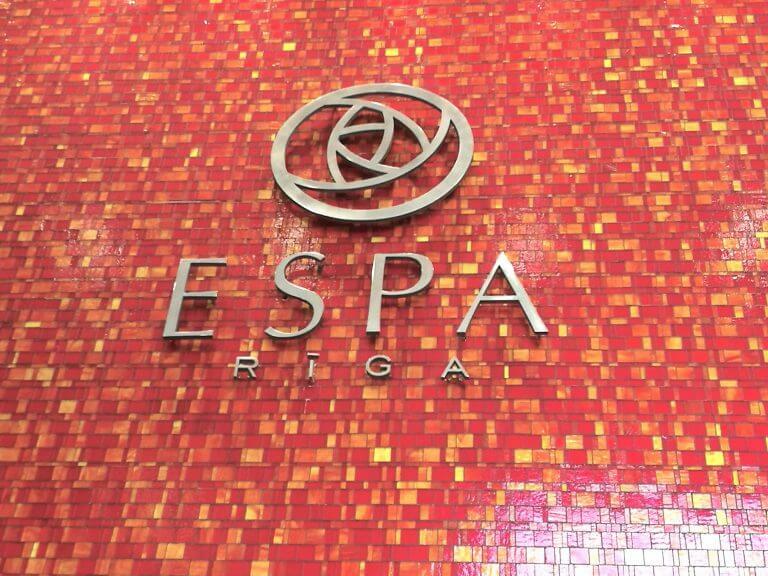 I had recently found out that within the Radisson Blu Latvija Hotel was home the luxurious ESPA Riga spa. 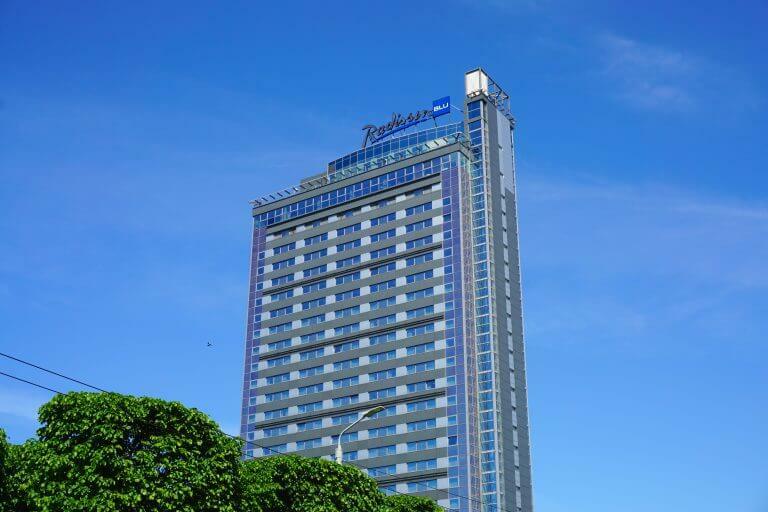 The contemporary high-rise hotel is located in the city centre so is easy to get to if you’re not already staying with them. 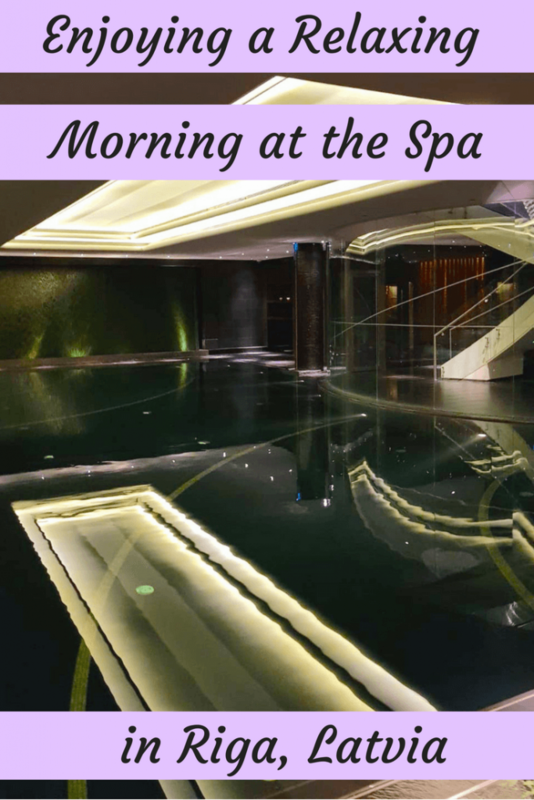 I had been to the hotel on previous trips to visit the stylish Skyline Bar on the 26th floor of the hotel so I had no doubts that the hotel spa would be anything but stunning. 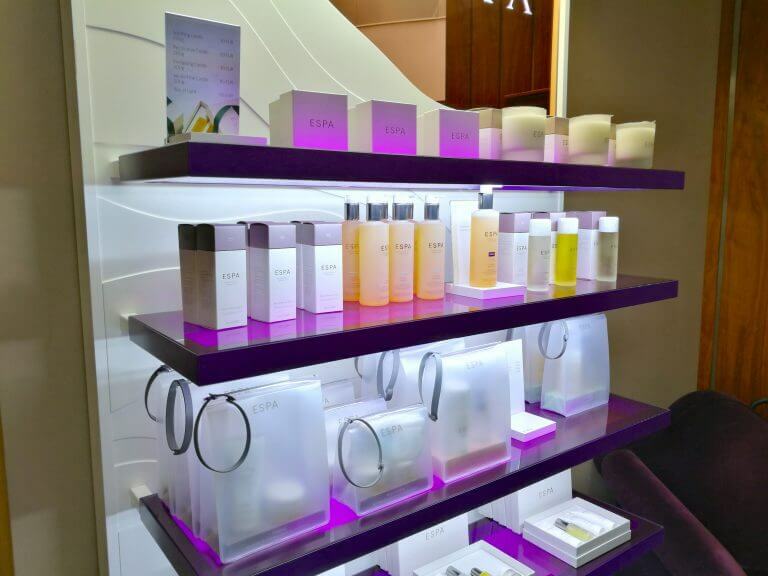 ESPA are an international company known for being at the most prestigious level of the spa industry with a range of products and treatments that really work. They have years of experience and are focused on enhancing individual’s lifestyle in a way that is both holistic and versatile. What I love about them as a company is that they do not test any of their products on animals. However, some of their products do contain beeswax and honey so not every skincare product is suitable for vegans. 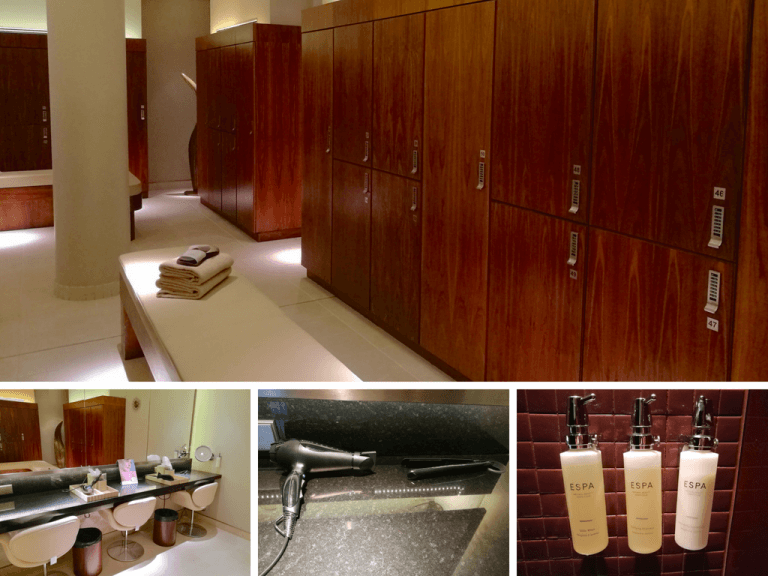 ESPA Riga can be found on the 2nd floor of the Radisson Blu Latvija Hotel. The design of the spa was inspired by the art nouveau surroundings of Riga and has a very modern and elegant feel to it. The spa is not only open to guests of the hotel but is also open to the public. I just had to turn up and pay an entrance fee of €29 which gave me 2.5 hours of spa time. Believe me when I say it was well worth the price! Once I had paid I made my way up to the third floor to the changing rooms to collect my towels and slippers which the spa provide for you. If you are also getting a treatment you’ll receive a robe too. 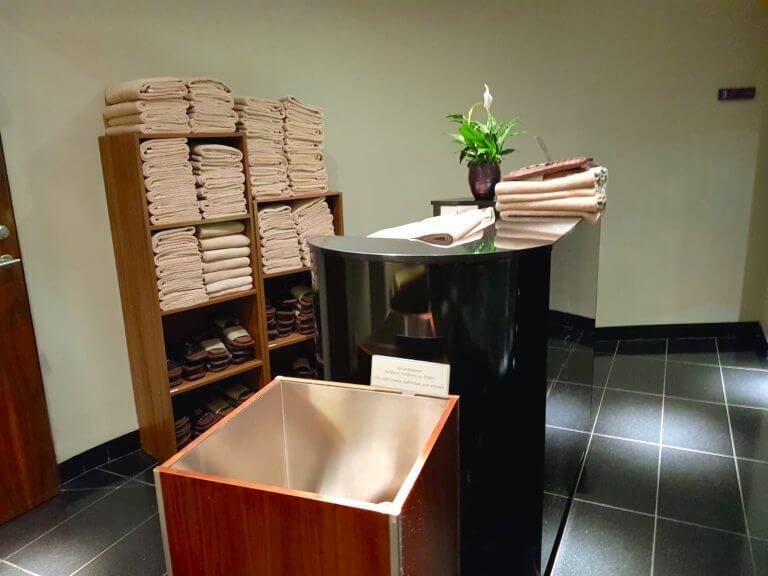 The changing facilities at ESPA Riga had everything you could possibly need. They had both big and small lockers which had shelves and hangers for your clothes. The showers were incredible and they had some of their ESPA shampoo and conditioner in the cubicle. I used this and my hair felt and smelt amazing afterwards! The changing room also provides us girls with a very decent and well lit dressing table area. These each had a high powered hair dryer, hair straighteners, cotton buds and cotton pads, as well as some of their ESPA moisturiser. They really had thought of everything! They even had a device for drying your swimwear which was a fantastic idea and something I had never seen before. After seeing all the changing facilities had to offer I was excited to see the spas leisure area. I walked down the stairs and was instantly impressed with what I saw. I was expecting the spa to be stunning but the design was simply luxurious. I instantly felt very happy about the decision to head to a spa in Riga. The swimming pool was 18m in length and kept at a temperature of about 28°C. For me it was the perfect size for swimming a few laps. A great way to get in some exercise when on a trip! I never saw more than 10 people while I was at the spa so the pool was mostly empty or had 1 or 2 other people in it. 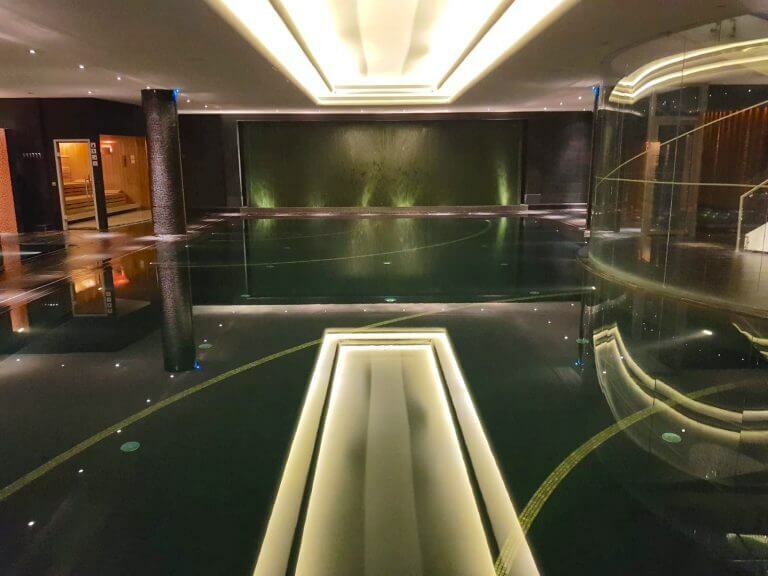 ESPA Riga also has a vitality pool equipped with air and water jets where you can sit back, relax and let the jets gently massage your entire body. It was just what I needed after flying into Riga the evening before. 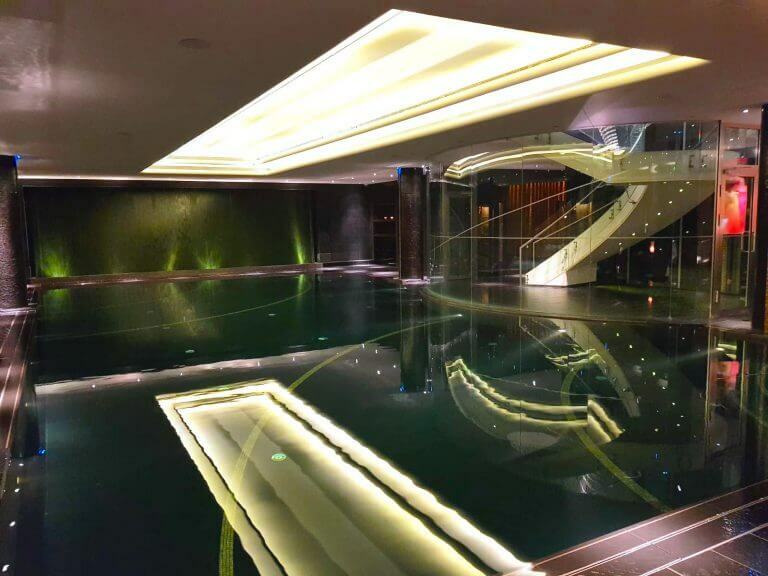 The temperature of the vitality pool is kept at around 36°C. After swimming a few laps and relaxing in the vitality pool I headed towards the sauna. Some people may find them too hot but I love them. For me there’s no greater way to relax and unwind than by sitting in a hot sauna. 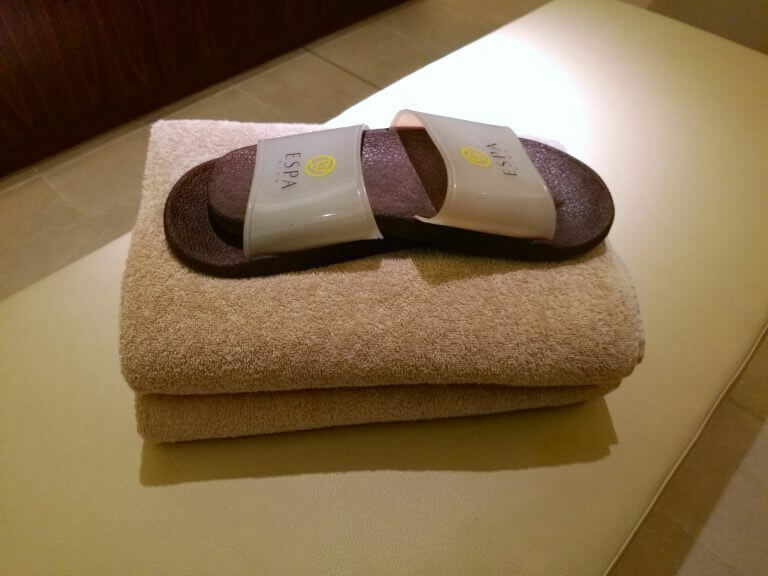 The great thing about ESPA Riga is that they have two types of sauna. They have traditional rock sauna that is perfect for someone like me who likes the heat. 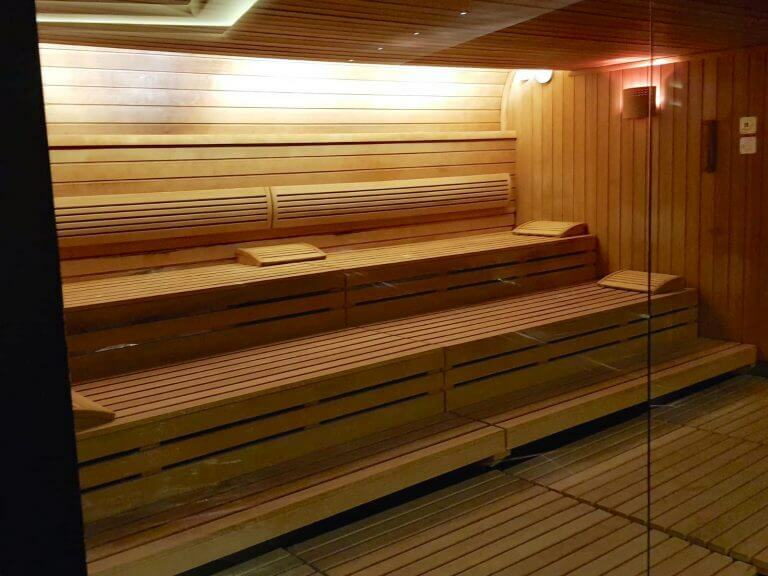 You use the sauna rocks to help generate heat and humidity and can get the sauna to temperatures of 80-100°C. The other sauna they have is a sanarium sauna that is slightly cooler than the traditional sauna, only reaching temperatures of 40-55°C. The sanarium sauna uses humidity instead of dry heat and is great for blood circulation. Of course, the cooler option is to use the steam room as the average temperature is usually 33-36°C. 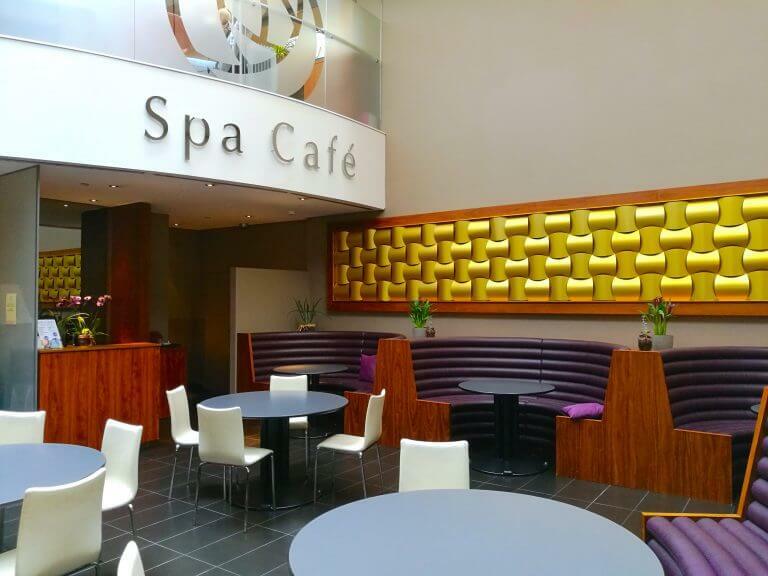 There is also a spa cafe located on the 2nd floor where guests can enjoy healthy and tasty meals. They also offer a wide range of freshly squeezed juices and smoothies. Sadly I didn’t realise this was here before I arrived and had already made plans to eat at the hotel restaurant. I had a delicious lunch at the hotel but next time I’ll definitely try out the Spa Cafe. If you’re feeling thirsty by the pool and want a refreshing drink before lunch ESPA Riga have you covered. Next to the pool there is a pool side bar serving refreshing cocktails, non-alcoholic cocktails, champagne and even protein shakes. Not a bad way to enjoy your spa day in Riga. Although I didn’t take advantage of any treatments on this visit, ESPA Riga offers a variety of treatments to make your spa day something truly special. 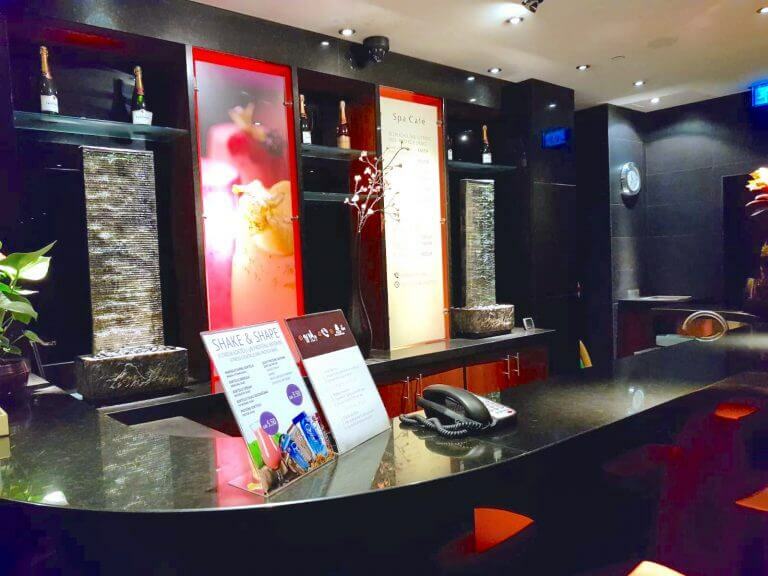 They advise you to arrive at least 60 minutes before your appointment to truly take advantage of what the spa has to offer. I ended up using the pools, sauna and steam room for almost 2 hours so you may want to consider giving yourself longer than their recommended 60 minutes! On their website they list several packages to chose from, each including a few different treatments and even lunch. Next time I would love to try out one of their massages and maybe even a facial too. The plan to visit a spa in Riga was a last minute one but I couldn’t be happier with the decision. It was just the perfect relaxing activity I was looking for. It was just fantastic being able to relax in the pool. Especially in the vitality pool with those jets! My favourite part however, had to be that sauna. I just love sitting back in a hot sauna and drifting off into a relaxing coma. It’s pure bliss! 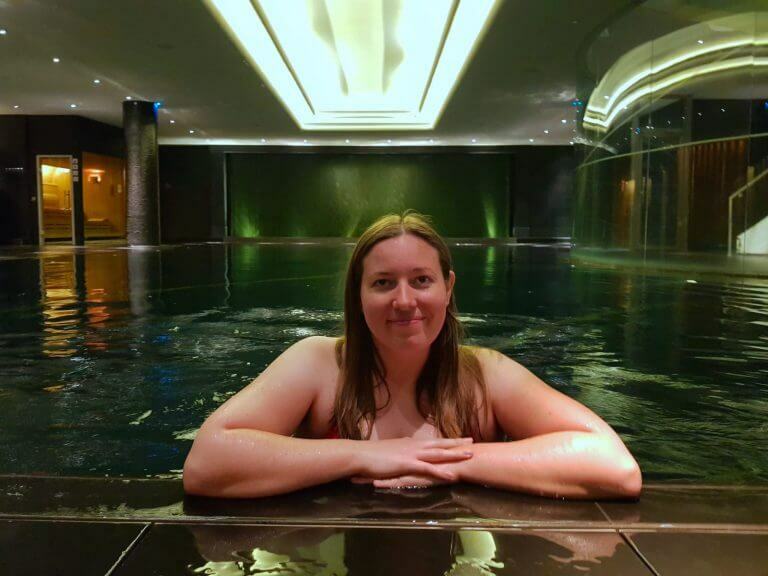 I loved the spa so much I am thinking of staying at the Radisson Blu Hotel Latvija for my next visit. I would just love to wake up every morning and take a dip in the pool followed by the sauna. Latvia will be celebrating it’s 100th birthday in November and I’m seriously considering coming over for it so I may be back to the ESPA Riga spa very soon!